It doesn't really turn of course but it looks amazingly realistic. With the 2 included ultra-bright red LED's, it looks good even outside during the day. Make your model something special and more realistic without adding much weight. The unit can be controlled by an on-off signal from a switch or by a servo channel. The speed of "rotation" is adjustable through a wide range to suit your model exactly. Servo-type connections are on the board for the LEDs. You will need to supply your own LED cables. 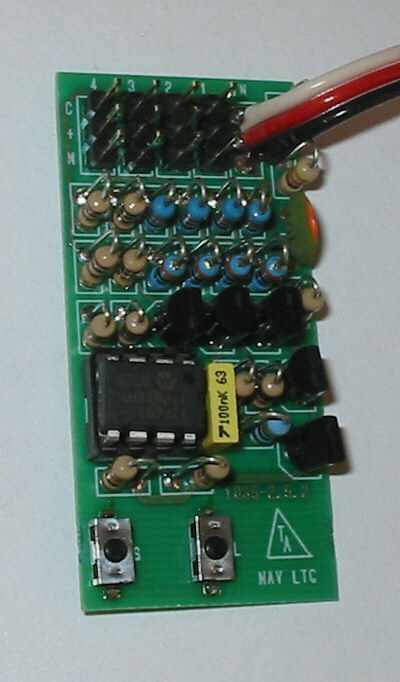 The module is supplied with two red LEDs. Also supplied are lenses for the LEDs.